Prior to the removal of any tooth, our La Jolla dentist take the time to discuss with their patients the options for a replacement tooth. It is important to consider the options as they affect the way the removal of the tooth is approached. Our dentists prefer an approach of ATRAUMATIC TOOTH REMOVAL (without trauma) for any situation where an implant may be a consideration for replacement. 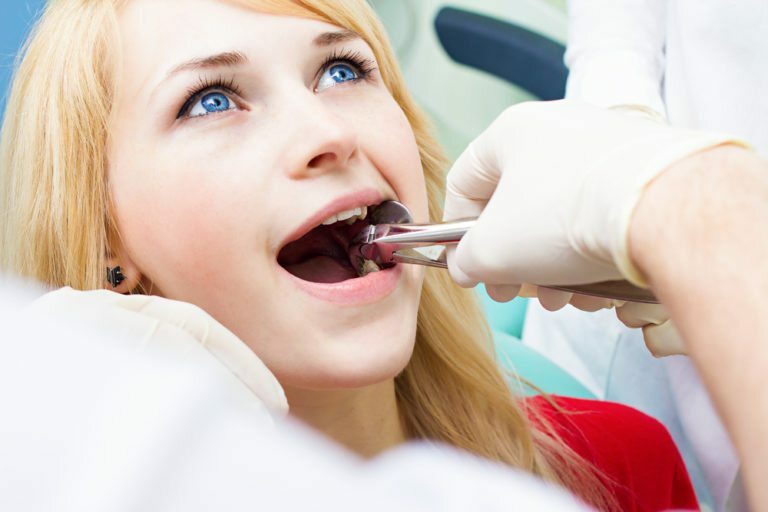 They carefully remove the tooth with a technique that dramatically reduces or eliminates trauma to the tissues surrounding the tooth. Immediately upon removal of a tooth the surrounding boney ridge begins to resorb. This continues indefinitely with the greatest loss of bone occurring in the first months and years after extraction. When a dental implant is planned after this resorption occurs a compromise in the position of the implant or modification of the ridge to attain an ideal implant position needs to be considered. Atraumatic Tooth Removal helps minimize or eliminate this problem. Another technique that our La Jolla dentist use at the time of tooth removal to ensure an ideal dental ridge for implant placement is called Ridge Preservation (or, Socket preservation). In this technique, a grafting or scaffolding material is placed into the socket after removal to ensure bone growth through the socket. This helps to minimize resorption especially in cases where the bone overlying the tooth is thin or damaged. In some cases a dental implant can be placed at the time of tooth removal. If the tooth size and shape are with in certain parameters and the surrounding tissues are healthy immediate placement can offer tremendous advantages toward assuring an ideal outcome for esthetically demanding situations.